Swarovski crystals are a wide selection of products and semi-finished products for the Austrian brand jewelry associated with luxury products. Buy them at great prices, check our offer! Crystals are characterized by an ideal glass coating that gives them an unprecedented color. 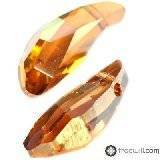 Crystals are distinguished by their regular shape and expressive, clean cuts. 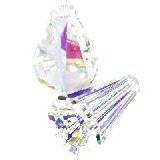 You can use Swarovski crystals to create glamor jewelery in glamor style, but not only. With Swarovski beads and crystals, you can sew attractive clothing applications or use them as a decorative element in home decorating. 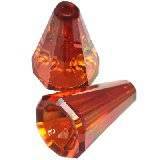 Swarovski Elements crystals are a whole range of jewelry making products from the famous brand from Austria. 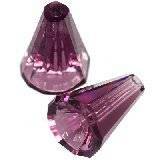 Swarovski beads have a beautiful color, due to the ideal glass coating. In addition, each bead, pendant have precise and expressive cuts. 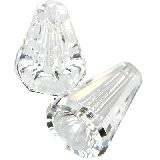 Swarovski crystals semi-finished products are as many as 1000 products in our store. 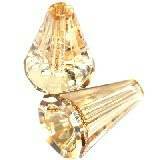 The most popular are round 5000 round crystals, teardrop 5500 (teardrops), or 5040 briolette. Some of it can be combined with semi-precious stones, eg briolette as glass spacers to emphasize the color of natural stone. Others can be used in earrings or necklace. Swarovski pendants are one of the most popular products of this brand, it is enough to use a silver bigiel and within a few minutes we can create a beautiful elegant earring. Pendants have different shapes such as hearts or teardrops, it can also be used for chain necklaces. Swarovski fits perfectly with silver.